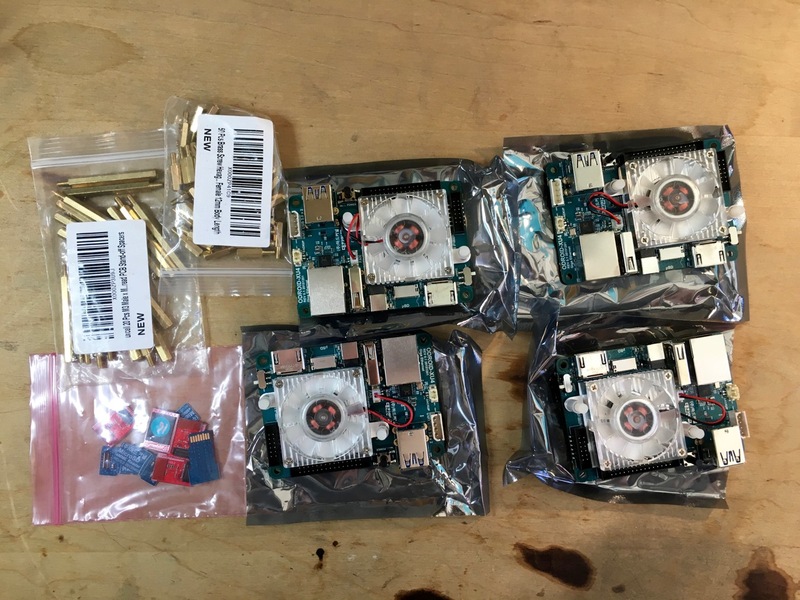 My shipment of ODROID XU4s that I ordered for my low cost cluster came into today. 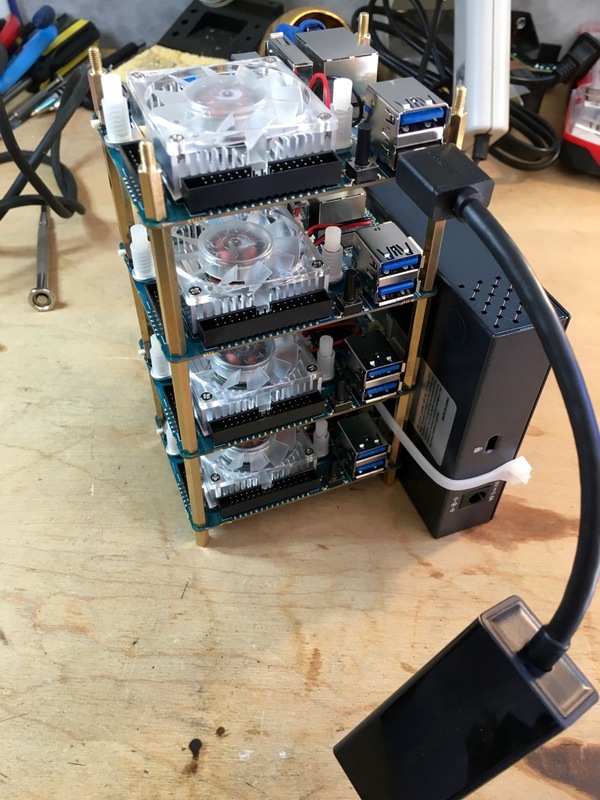 So I set out to assemble the cluster. My daughter “helped” me with this, making it a fun family activity. First thing I did was layout the nodes. Though I knew these board would be small, it did impress me just how small they were. 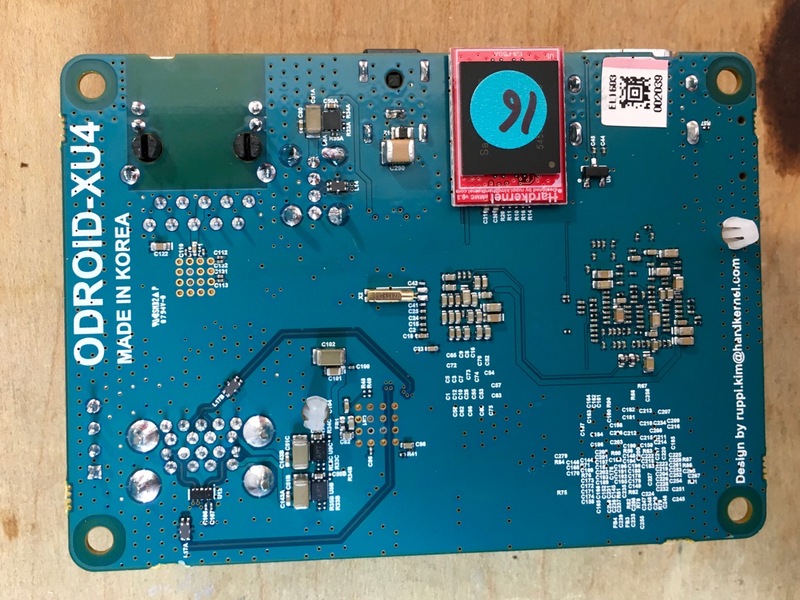 The first task is to attach the eMMC drive to each node. Note that I eventually had to undo this as I later discovered I needed to flash the drives with the latest Ubuntu build. But given the amount of space the PCB standoffs five, removing and reattaching the eMMC drive is not hard. Then I attached the XU4s together with the PCB standoffs I bought. The short standoffs are for the “feet” to the stack, and the long ones to separate each node. Once I stacked all of the nodes, I attached the ethernet switch and the cabling. I “attached” the switch to the stack with some zip ties to help keep it in place. Yeah, this was a bit low rent, but worked. Be mindful where the zip tie is attached so that it doesn’t interfere with the cabling or the nodes. Note, despite the picture below, do not install the MicroSD cards yet. We need to do some configuring of the base operating system first. We will that in the next post. The final step in the physical assembly is to attach the USB Ethernet dongle to one of the node’s USB3 ports. 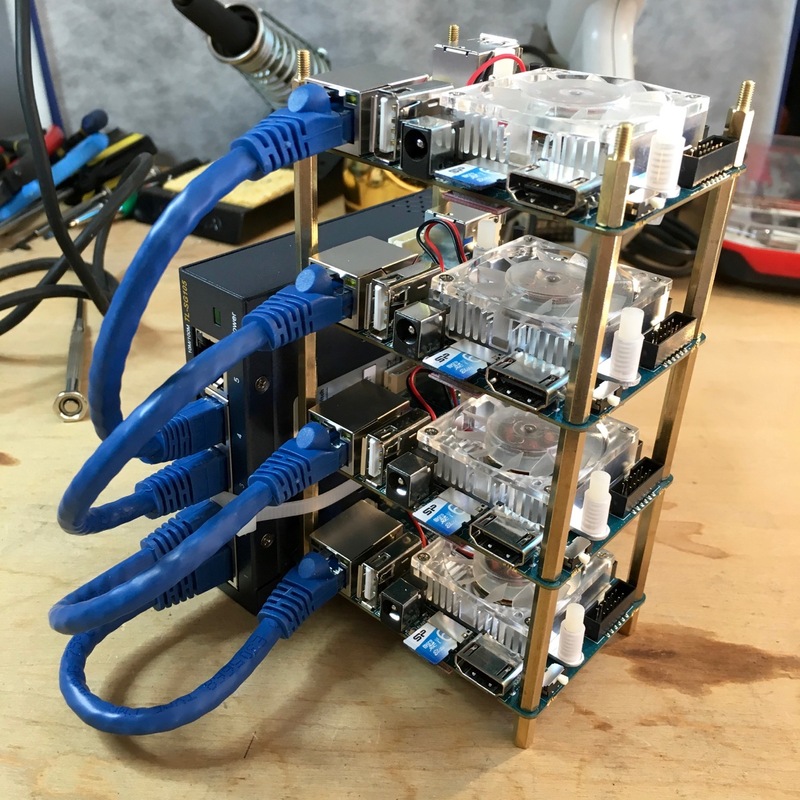 Whichever node you attach the dongle to will become the master node for the cluster. Review the board layout before doing this step to ensure you attach the dongle to one of the USB3 ports. The only remaining stop is to attach power. 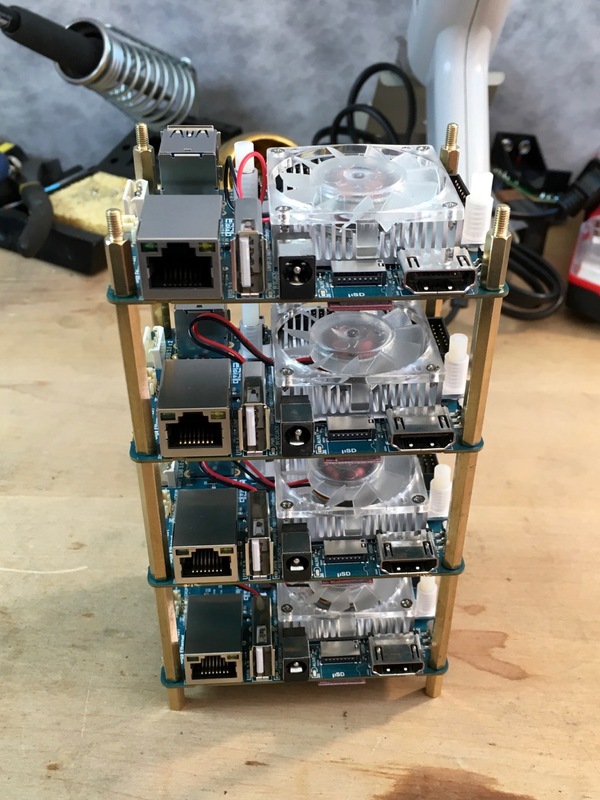 We will do this when we configure the cluster’s networking, as that task is much easier if the power is not added all at once. I am looking to build a Apache Spark cluster, ideally with Apache Zeppelin. But there will be some build out I will need to do first, such as getting HDFS set up. An interesting Java Framework for clusters is Apache Ignite. Indeed. I think I will look into it after I get through what I was planning and document how it improves performance.